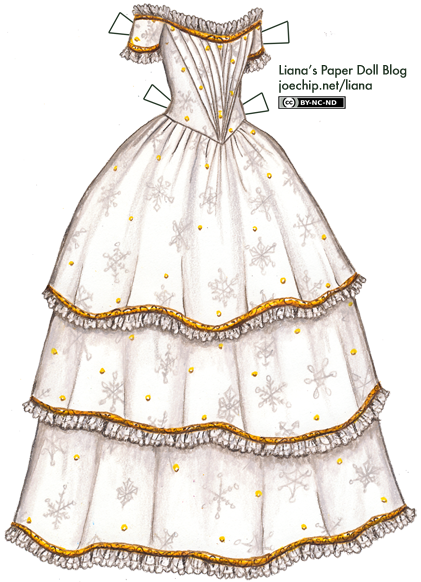 I drew this paperdoll, Aelinora, in 2004, but she doesn’t show up on the page with all of my old paperdolls because of a mix-up with the tags. That gives me, then, an excuse to post her again! She only has these two outfits, but she is one of my favorites. I don’t know too many elvish princesses who have part-time jobs during the holiday season; most of them prefer to do things like contemplate snowflakes, play elvish carols on absurdly delicate harps or linger poetically around frosty forests. Aelinora, it must be confessed, also has a weakness for picturesque frivolity, but more than anything she loves to bring joy to others. Every year since she was ten, she leaves her home somewhere around October and goes to apply for employment at Santa’s workshop. Naively believing she has concealed her identity well, she works feverishly alongside the others, making holiday toys for the world’s children. (Her specialty is designing patterns for stuffed animals; I myself own a stuffed dragon that she designed a few years ago which won her accolades from her peers.) She and the other elves work right up until Christmas Eve, but when it comes time for the pre-Christmas party, she is nowhere to be seen; she is already home, living the life of an elvish princess once more. One can’t miss out on all the snowflake contemplating, you know. 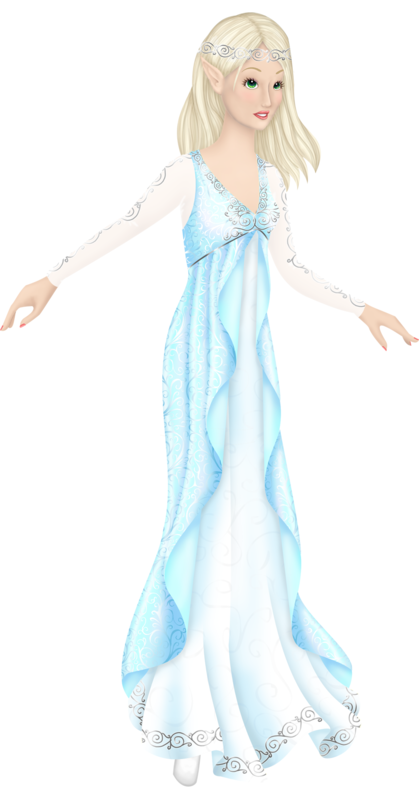 I am thinking about Aelinora because she has a cameo in the story I intended to post while I was on vacation, but I only finished two of the necessary dresses. So she, and that story, may yet show up again. So, I’m back home, adjusting to Michigan time, and I will start posting new outfits for Sylvia and Iris tomorrow. Thank you for your patience during my vacation!